Last Thursday the latest addition to the OKA herd made her grand entrance. Some of you who have been around or know us personally already know that Ma and I have a rather weird sense of humor. 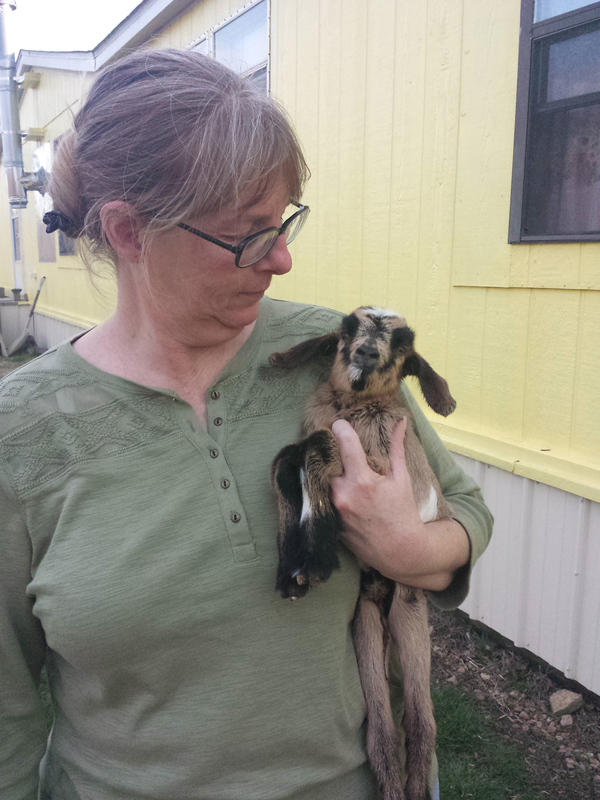 If you are new here just know that we do, so anyhow we thought it fitting since we mostly use our goats for weed control to name this newest addition Roundup. We plan to continue naming them after different herbicides and things until we tire of it or run out of names. Now maybe this is a good idea and maybe it’s not but for now we are gonna run with it. If you can think up any good names throw them in the comments and we will certainly consider them when the next one comes along. 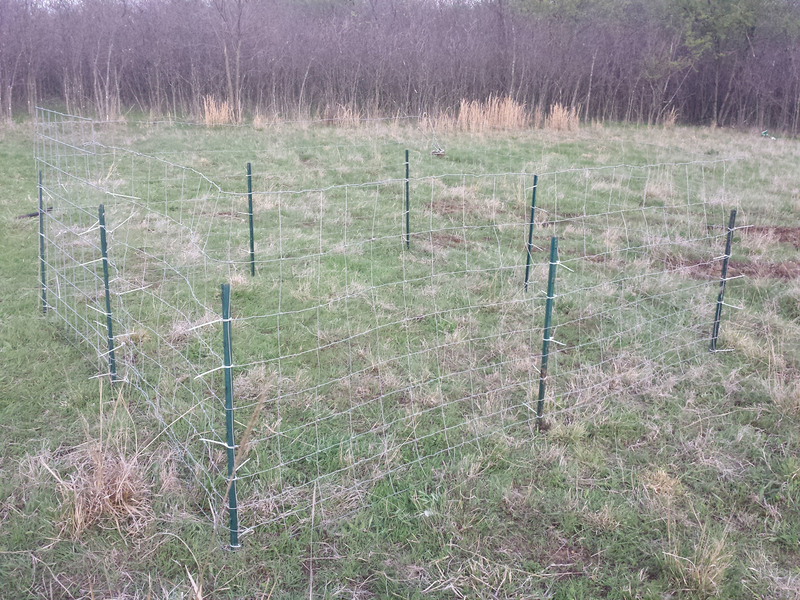 The Bee Yard Is Almost Complete. Mr. and Mrs. Wadulisi have made one successful split of a hive and with at least one more, possibly two planned, they intend to bring them out here soon to get them a fresh start away from the original hives. When they came out a couple weeks ago we talked about placement of the hives then afterwards Mr. Wadulisi and I decided it might be a good idea to add a small fence around where the hives would be placed to protect the hives from rubbing goats. Well, there you have it this 10ft by 10ft area will be the launch point for future pollination efforts on the OKA, an air force base of the apiary kind if you will. You may notice above I said “Almost Complete”, because so far the fence is attached with only zip ties, I will get out there in my free time and tie that fence in place with some good ol’ bailing wire, then and only then will it truly be finished. In all seriousness though, Ma and I are so excited we can’t wait to see the Wadulisi girls in action they should make a huge difference in the amount of production we get around here. In turn, they should be happy bees because since this is a permaculture farm there are no herbicides being used, there is a true polyculture going on, we have weeds of every type and we let them do their thing. Not only are there things here that we put here for a specific reason but marvelous things have have popped up to accomplish a mission to heal bear earth and correct things that have have happened that are out of our control. Last but not least Mr. and Mrs. Wadulisi will get to harvest some of the most diverse honey that ever has been harvested from Nowata county. Did I mention we are excited? 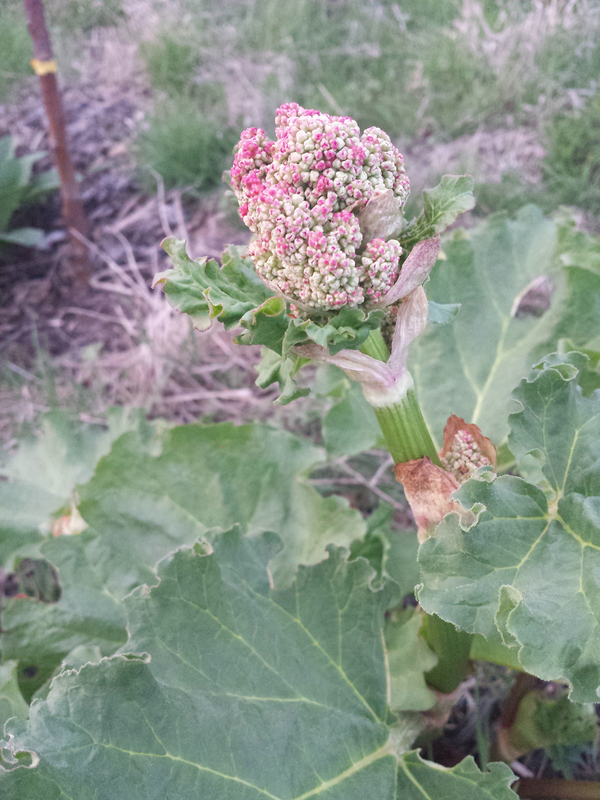 During the last week or so I noticed this bulbous formation coming from where the new leaves ought to come out for our little Rhubarb bed. Come to find out, they were seed heads. I asked around and as it turns out it is better to cut them off instead of letting them go to seed. I guess it makes sense, since it’s only the second year for the plants, I would rather they made roots as opposed to concentrating all of their energy making seeds. There will be time for that in future years. I think they were pretty anyhow so I couldn’t help but leave them for a couple days and then I did away with them. Chop and drop baby! This entry was posted in Animals, Gardening, Permaculture, vegetable and tagged Apiary, Bee, Bee Keeping, blossom, Building, food forest, Homesteading, Kitchen Garden, orchard, Permaculture, Plant, Pollinator, Sustainable. Bookmark the permalink. ← Rooter Pot Update and Other Things Goin On.